From all-night raves to family bonfires, sometimes we want to capture our memories in low light. And with the Galaxy S9, you can take crystal clear snaps, all night long. It features a re-imagined camera with super low aperture. So you’ll be able to capture the moment, whatever the lighting – with no more blurry faces. Want to watch the exact moment you crossed the finish line? Or re-live your little one taking their first steps? The Galaxy S9 lets you capture the moment within the moment. You can shoot videos at a stunning 960 frames per second, then watch them back in super slow motion. So you won’t miss out on the detail when you’re recording those precious memories. Watching movies on your phone doesn’t have to feel like a compromise. 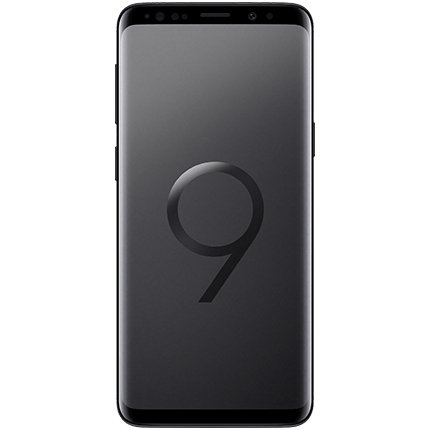 The Galaxy S9 has a huge 5.8 inch infinity display, so you can see more when you’re streaming or gaming. And because the screen is borderless, the phone is still compact enough to fit in your pocket. You can use it anywhere too. It’s water resistant for up to 30 minutes at 1.5 metres, so you can make calls in the rain or browse your social media on the beach, without the worry. Get the cinema experience, without anyone else blocking the screen or crunching on popcorn. The Galaxy S9 has dual stereo speakers tuned by AKG, so you’ll feel like you’re in your own private cinema every time you watch a movie. And with Dolby Atmos surround sound technology, you’ll always feel totally immersed in your film or music. Keep your holiday running smoothly, with Bixby Translate. From ordering a meal to asking directions to the beach, it can help you speak the local language. So you’ll be able to avoid any holiday mishaps.